New Essex assistant coach Anthony McGrath has said it was "strange" to end his association with Yorkshire. Former all-rounder McGrath, 40, spent 17 years at Yorkshire as a player before becoming a coach in 2014. He joined Essex on Friday as the assistant to former Yorkshire bowler and Essex head coach Chris Silverwood. 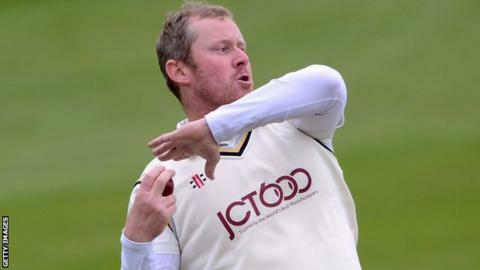 "I've been at Yorkshire since I was 12 years old, and a new project and seeing how new teams operate will make me more rounded," McGrath told BBC Essex. "If you're at a club for over 20 years it's going to be strange to leave, but the new role excites me more than anything." McGrath worked as Jason Gillespie's assistant last season as Yorkshire secured back-to-back Championship titles. Essex have struggled to make an impact in recent scampaigns, having been in Division Two since 2008. "It goes in cycles - I had years at Yorkshire where we really struggled, but it happens at every county," added McGrath. "Essex want to get to where Yorkshire are now, in terms of the Championship, and they've got young players coming through who can achieve that."